Indira Park is a public greenspace and park in the heart of Hyderabad, India. The park is managed by the Hyderabad Metropolitan Development Authority. 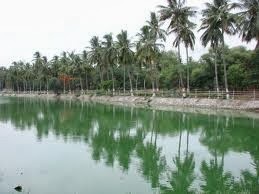 It is located in Domalguda, a residential locality which lies along the Hussain Sagar lake. The park contains an award-winning rock garden designed by a commissioner of customs and excise duty. Indira Park is having 76 acres of area and it is located in the center of city of Hyderabad. The foundation stone for the Indira Park was laid during September 1975 by Late Faqruddin Ahmed, the then president of India and it was open for the people in the year 1978 with complete landscaping. Indira Park is with huge lawn areas, tree and shrubs plantation and with water bodies (pond & channel). Later in 1994 Computerised Musical dancing fountain and water falls were also added as additional attractions. Also Boating pond with jet fountain is existing.The park is also having commercial nursery and rose garden as major features. The park has been a center of agitations by various strata of the society since early 2000. Rallies or sit-ins have been organized towards achieving goals by dalit rights groups, auto rickshaws unions, students and teachers,political leaders, and others. 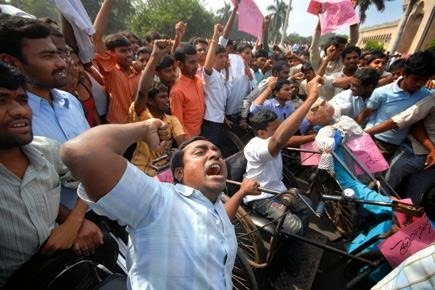 On an average, three such rallies are given permission by the local authorities. Due to these rallies, normal life has been affected. Mainly school children, college students and medical emergencies get affected because of the traffic that is caused by people congregating for these rallies. Though the local police designs a plan for the participants, their inability to control their movement results in traffic jams. 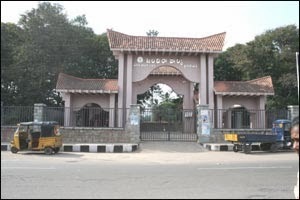 Due to this infamy, the local media satirically proposed new names such as Dharna Chowk, "Dharnagunj" and "Dharnaguda" to Domalguda, the area that houses the park. Despite a ban on such rallies in the arterial routes of the city, the local police remained ineffective in enforcing this. been looking for, i'm already your rss reader now and i would regularly watch out for the new posts.